I just keep getting amazed with this project. The Grunt looks excellent, and quite truthful to the original. I missed a few of the posts before, the forum keeps denying there are new posts... The repair facility and vehicle factory look nice, too. Are you still workin alone on this project? You mentioned sth. about friends that might help you. And will ya need voice actors (I could do some voiceacting I think , but I?ll have to wait until I got the hardware for this). Still working solo, yep. Friends who said that they would do stuff have been really slow and not done much really. This is why I usually prefer to work alone on things like this. 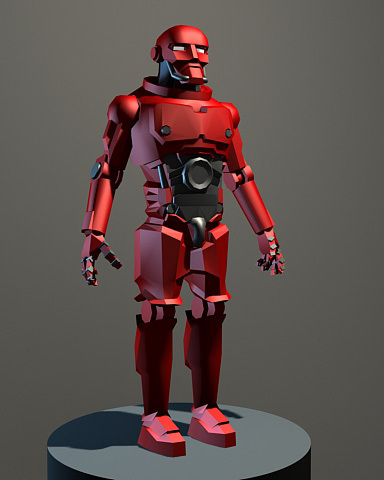 Robot is nearly done, I got basically the whole thing done yesterday just need to make some tweaks. Should have something to post after I finish it off tonight (if i get to go on the computer at home after work). Here we go, the model of the grunt! 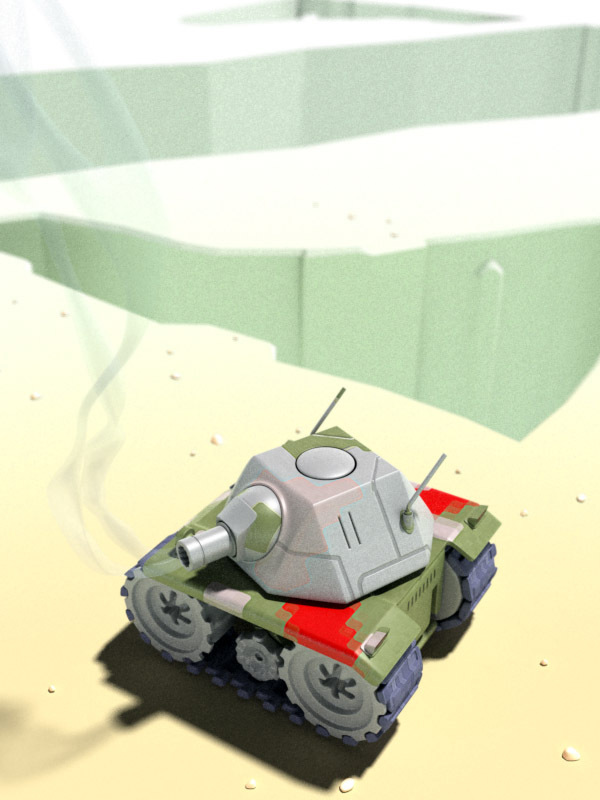 I might need to lower the amount of detail on it later on before I go on to texturing... but next I will most likely model a tank. Hope you peeps like it! One small thing though: the arms are rather long compared to the legs. yeah really nice , but - as already mentioned - too hipoly , I think the arms and the head are very hipolygoned while the legs are too lowpoly. the corpus is quite fine. Hey Electra, are you still working on the project? I'm very anxious to see more of your work. Sorry if it sounds impatient, but you were on such a roll with the game and then we suddenly heard nothing, so I thought I'd just ask . I think he is, haven't seen anything new from him but we've spoken somewhat recently... But yeah, i'd like to see more and this topic definately deserved to be bumped by now. mesh too dense for a game. I tried to be very close to the original. Last edited by blugenwitz on 2008-09-10, 10:12, edited 1 time in total. very nice. it really has the z-look souldn?t be too hard to redo this in lowpoly. nope. And with the normal maps from this one it can be still veeery close to original Z.
I havnt posted in a long time, but when I read this I was really excited. To be honest I don't think making a copy of Z it's a really good idea. It's a BB work (hard part is not a graphics, but AI). And making it at least at same level its very hard. More detailed graphics need more precise animations, there is lot of work. I wish BB make new version - because from time to time I tried to play in something new, but every time I read: "it's your peasant/worker/something build a farm/workhouse/something" I turn demo off . blugenwitz wrote: To be honest I don't think making a copy of Z it's a really good idea. It's a BB work (hard part is not a graphics, but AI). The BB's have announced they were developing a sequel. We haven't heard from them in ages though, so hopes of it aren't high. Personally, I'm very enthusiastic about any remake, and we have seen fan work that indicates people have both the drive and the skills to make one.